Every couple of weeks, here at The Sludgelord, I will continue on our quest to scale the summit of doom, presenting recent releases or cult classics from bands new and old, active and defunct, but most importantly share music that is killer. 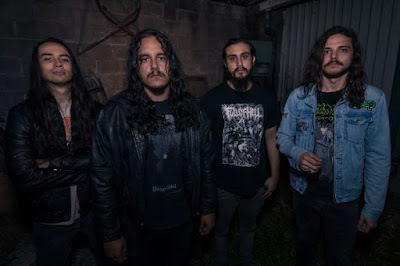 This week we present a band, that is a direct recommendation from Sludgelord faves Slomatics , indeed had they not recommended them, I might have done so myself. For me, this is a band that very few seem to know about but everyone needs to hear and for any self respecting fan, Brainoil is the grimier, uglier, more visceral version of Eyehategod. Whilst not the most prolific in terms of output (2 full length records in 17 years), Brainoil’s music speaks for itself, attaining cult status within the underground scene. 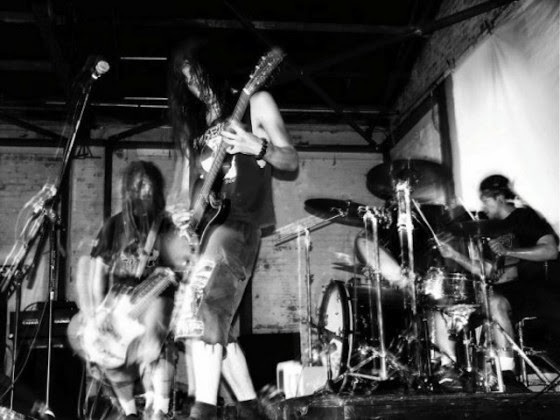 Hailing from the hometown of Neurosis, Brainoil were originally formed as a solo project by Greg Wilkinson in 1998, but it wasn’t until the addition of Nate Smith on guitar, that material started to surface, music that would form the basis for their early demo in 2011. Their first official release was in same year, a split CD with now defunct band Cruevo, ("Black Maria" was released on the "Crushers Killers Destroyers II" compilation in 2004), released via 4 different labels, it would eventually become something of a collector’s item, due to the lack of repressing. One Noah Landis, notably of Neurosis fame is credited in the liner notes, with audio sequencing duties. Another 8 years would lapse before Brainoil would surface with their follow up record, the equally brutal, ‘Death of This Dry Season’ (also featuring 7 tracks) issued via 20 Buck Spin digitally and vinyl 2011. There was also an odds n sods compilation released via the bands website in 2011 and with little or no information about any new music surfacing in the future, it is their debut ‘Brainoil’ that I implore you to seek out and right the wrongs you have made, not only overlooking this band, but overlooking this storming debut release. So check out the information below, listen, share it and spread their filth around, because make no mistake you won’t regret it. We will be back with more bands and recommendations soon, so until then, keep it filthy. 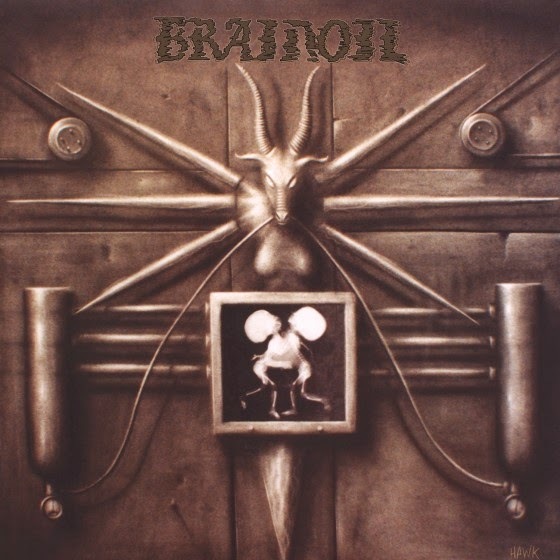 ‘Brainoil’ is the band’s debut full length record originally released on CD via Life is Abuse Records in 2003. 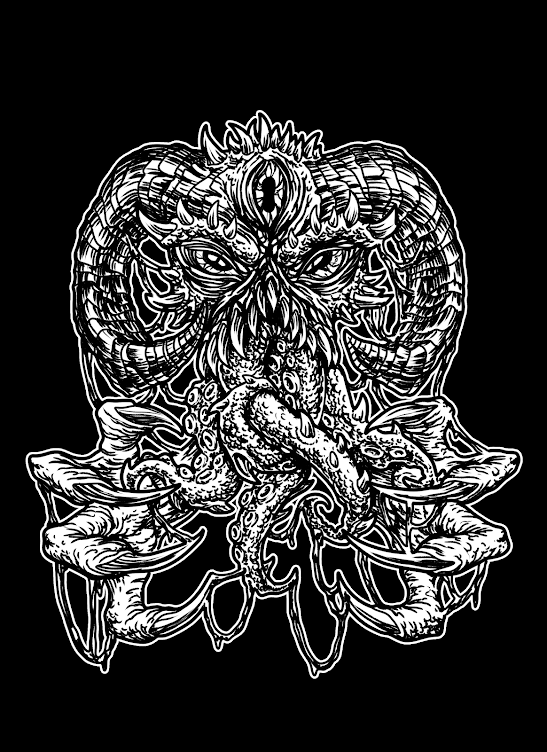 The label was established by members of cult crust sludge band Dystopia to self release their own material. The original press of the CD came as an enhanced package which featured live performances of the band. A vinyl release was issued by Throne Records, also in 2003, released on black vinyl limited to 500 pieces, with gatefold sleeve. Long since out of print, cult Oakland based label Tankcrimes, reissued this classic gem on CD/Vinyl in 2014, Limited to 500 copies (150 on gold, bone, brown mashed vinyl; 350 on bone vinyl). Ironically, Tankcrimes also reissued Dystopia’s classic record Human=Garbage to commemorate the records 20th Anniversary. You can check out this stunning debut below, but make sure to pack a clean pair of underwear before you do. Don’t forget you can submit you’re own choices for forthcoming articles by choosing a favourite band, a record by that artist, perhaps a band or record that was overlooked or something you wanna share. Simply email me here, the record ostensibly needs to be a doom record or fit into one of the various sub genres of it. We’re onto the letter ‘C’ next, so please submit any bands beginning with that letter, or for future articles, there is ‘D’ ‘E’ and so on. It’ll be great to get your recommendations. Thanks for reading.